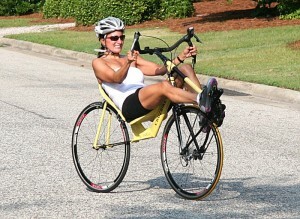 On October 10th, Maria Parker will be riding a Cruzbike recumbent bicycle for 12 hours in a race against the clock. 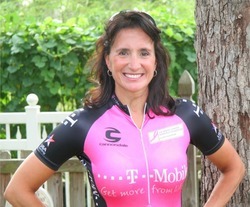 Her goal is to ride over 220 miles on a 20-mile loop course on public roads near White Oak, NC. She is attempting to set the world record, which will be observed by Ultramarathon Cycling Association (UMCA) officials. This is the first attempt at the women’s record. The men’s record is 241.5 miles. No drafting is allowed. 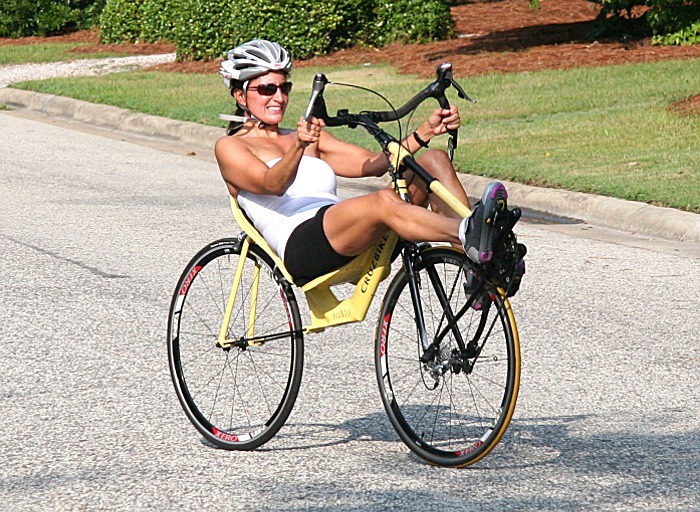 Maria Parker, a 46 year-old mother of four, will be testing her endurance and a new front-wheel-drive recumbent bicycle as she attempts to set the world record in the 12-hour unfaired recumbent bicycle event on October 10th. She undertook this challenge after she not only won her first bicycle race in July, but set the course record . “I didn’t even know if I could ride for 12 hours,” she said, regarding her entry into the annual Saratoga 12-hour race held in New York, “but my bike was so fast and comfortable I was able to go much farther than I expected.” Parker completed 211 miles on the hilly course in Saratoga during the 12-hour race. can i get her jersey afterwards?